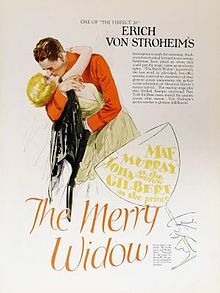 Based loosely on the operetta of the same name, The Merry Widow is legendary director Erich von Stroheim’s most successful film. Starring Mae Murray, the “Girl with the Bee-Stung Lips” and idol-in-the- making John Gilbert, The Merry Widow is a delightful romp set in a fictional eastern European principality so beguiling to American audiences at the time. Murray charms as Sally O’Hara, star of New York follies troupe wooed by two princes – the good-hearted womanizer Danilo (Gilbert) and his fetishist cousin the crown prince Mirko. Duty to country forces Danilo to deny his heart and give up his love forcing Sally into marriage with a wealthy but repellant financier. Widowhood and a large inheritance bring Sally back to the kingdom and chaos ensues! 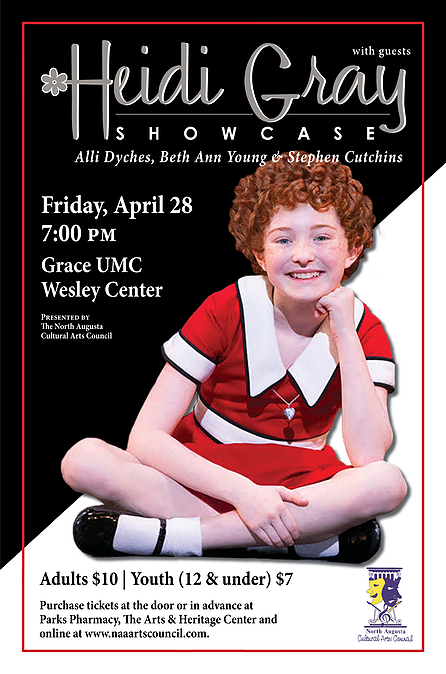 Heidi Gray, a 12-year-old North Augusta actor who portrayed Annie in the ?Annie the Musical International Broadway Tour? last year, will be both the headliner and honoree of?this?stellar North Augusta performance.
? ?The Heidi Gray Showcase? will feature the family-friendly musical and theatrical talents of Gray as well as other local standouts. Other performers?include Alli Dyches, a former North Augusta Idol; Dr. Stephen Cutchins, Pastor of Discipleship at First Baptist Church of North Augusta ; and Beth Ann Young, who has played significant roles in other North Augusta Cultural Arts Council theater productions. Susan Burgess, President of the North Augusta Cultural Arts Council, and Jeff Bussey, a member of the council, will accompany the performers on piano and percussion, respectively. ?This is truly world-class talent, and all of it is homegrown. The North Augusta Cultural Arts Council is thrilled to bring this Broadway-caliber performance to the citizens of North Augusta and the community at large. Join all your Augusta neighbors for farm fresh produce, international foods, live music, local artists and crafters, and if it’s warm out a giant water fountain geyser to play in. Parking is available to either side of the 8th Street Plaza. And if you’re a runner, join the 1, 3, or 8 mile run that leaves the Plaza every Saturday at 8 am. 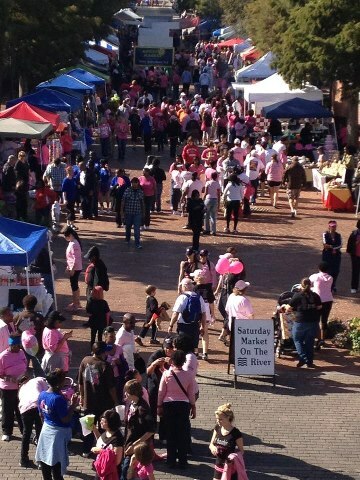 Meet at the fountain at The Augusta Market. We will all take off together around 8 o’clock!